About 10 years ago, when my oldest son was 5 years old, I had an epiphany. 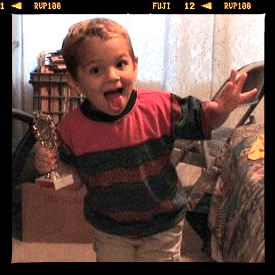 Austin had always been so animated, and loved to entertain us! Sean, my other son, was only 2 1/2 years old and was the best audience for Austin. I remember a particular picture of Austin, displaying a dramatic look on his face, hands and arms up in the air and facing Sean, while Sean smiled from ear to ear from his electric baby swing! 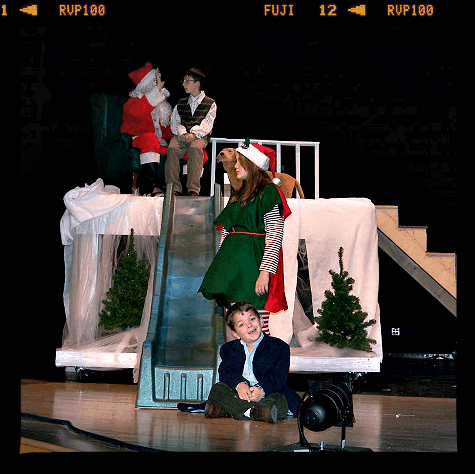 On that insightful afternoon 10 years ago, I was reading the local newspaper and an audition notice caught my eye for a holiday show with community theatre. They just so happened to have a role for a little boy! I looked up from the paper and asked Austin if he would like to try out to be an actor. He agreed, and off we went to the audition. I, for one, was so nervous! I hadn’t had any experience whatsoever with acting. Austin, at the age of 5, was blissfully ignorant of what was ahead of him. As we waited on the other side of the door with all of the other people auditioning, we could hear the directors instructing hopeful thespians inside. When it was Austin’s turn, I was asked to stay in the waiting area. Yikes! I thought for sure that Austin would “chicken out” and refuse to even go through the door. But, that adorable little 5 year old marched right through that door, and, as it turns out, right into the director’s hearts! He got the part! He played ‘Randy’ in Fredericktowne Players’ “A Christmas Story” that holiday season 10 years ago. 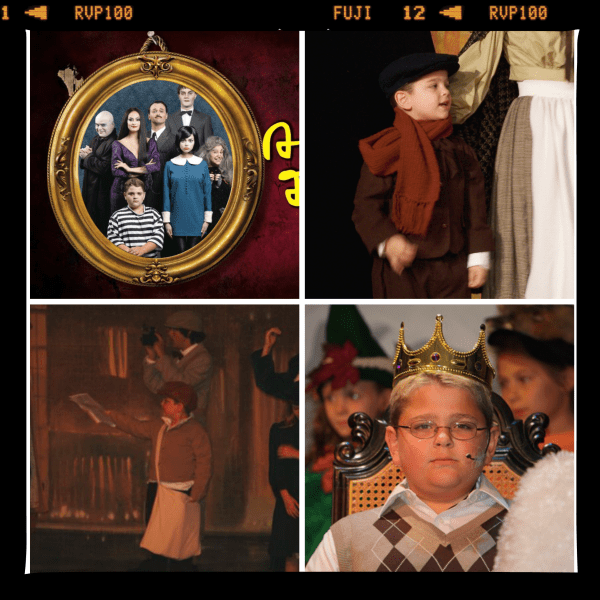 Since then, Austin acted in multiple stage performances for local theatre, and even got to play the role of ‘Kurt’ in Olney Theatre Center’s “Sound of Music”! This is a professional theatre and he was paid for that show – 11 years old and getting paid for something you love to do? What an awesome experience! 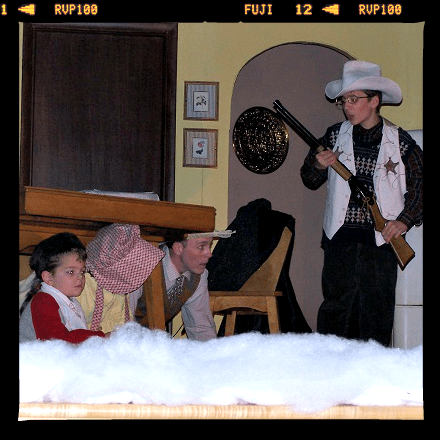 Austin playing the role of Randy in “A Christmas Story”! Some of the other opportunities Austin has had! 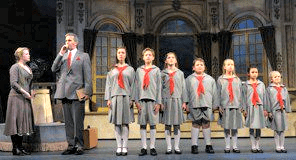 Austin played the role of Kurt in “Sound of Music”! Fast forward 10 years later to today – 2014. Austin is 15 years old and a sophomore in high school. Sadly, he has kind of lost interest in acting. In my heart, I believe that he will perform on a stage again one day. But, the funny thing is – about a year ago, I was approached on email by a casting company to audition for a role! I even replied back and asked, “Don’t you mean my son? I have no acting experience!” But, they were interested in me and my twin sister, Pam, to audition for Investigation Discovery’s “Evil Twins”! Evidently, somewhere along the way of managing Austin’s acting, it was known that I had a twin sister. Well, the rest is history – Pam and I got the roles on “Evil Twins”, and had the experience of a lifetime! Pam even wrote a post about it here! 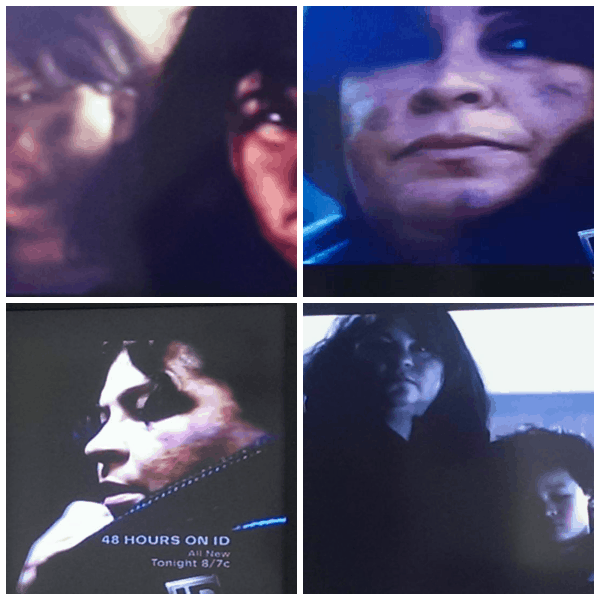 Pam and my opportunity with Investigation Discovery! Dragonukconnects.com – this is an amazing, legitimate site that you can subscribe to for free and receive emails with local audition notices to the mid-atlantic states, with many opportunities relevant to people who live in Frederick! For a paid subscription (very reasonably priced), you can also create your own profile with a headshot so you may be found more easily by potential casting agencies. Facebook! Let’s say you are interested in acting with your local community theatres – find out the names of these theatre companies (hello Google!) and then find each one on Facebook so you can ‘like’ them and hopefully become in the loop with audition notices. What I do is hover over the ‘liked’ button on any Facebook page that I’m really interested in and click on ‘get notifications’. That way, any time that group posts anything, you will get a notification up in the upper right corner of your Facebook page! You can also do this with casting agencies. I will list agencies that I know of in this area below. Newspaper! Print lives, guys! There is still a place for print in this digital world. If you are one that enjoys sitting down and looking at the paper, keep an eye out for audition notices that way! Word of Mouth! I swear, even with all of these ways that I have tried to stay “in the know”, there have still been more times than I can count that I have learned of an acting opportunity through word of mouth. Whether it’s asking about opportunities on your Facebook page, or it’s just talking with other like-minded people in your circle. Email! If you go to theatre companies’ or casting agencies’ websites, some may offer the option to subscribe so that you get a newsletter emailed right to your inbox! Here are some local (to Frederick County, MD) casting agencies that I’ve either had experience with, or that people that I know have worked with. In other words – they’re legit! Click on each one for more information. This was one of my favorite posts–ever!! I loved seeing Austin’s pictures and don’t know where the time has gone??!!!! He is so adorable in all the pictures. As for you and Pam, that’s scary!!! !